Tape and reel service is a shipping method for surface mount devices (a specialized type of construction for printed circuit boards, specifically semiconductor PCBs). Tape and reel service simplifies the handling of these devices for automated circuit board assembly. In tape and reel service, semiconductor surface mount devices are placed in bubble pack-type cavities on a long, flexible, plastic reel. Conductive PVC material is generally used for the plastic reel to reduce static charge buildup that can potentially damage PCBs. Special cover tape seals the openings to prevent the surface mount devices from falling out. Guide holes along the side of the plastic reel guide the tape through manufacturers’ pick and place machines for assembly. The package as a whole looks very similar to an audio tape for a reel to reel playback system. Via this method, hundreds or even thousands of surface mount devices can be packaged in a single reel. This results in less frequent reloading of pick and place machines, speeding production and cutting down on labor costs for automated circuit board assembly. Typical tape and reel packaging. 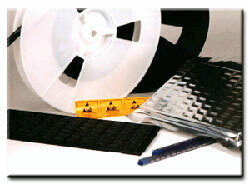 Syagrus Systems specializes in surface mount tape and reel service to support components distributors and OEMs. 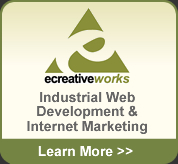 They offer high quality surface mount device tape and reel packaging at competitive prices.